PHOEBE KILLDEER & The Short Straws 'Weather's coming...' «There's a sound that had to be found, it was going round in my head, tribal and vibrant, yet dark and cinematographic, music you can move to, as much slow as wild all out shaking.» At a young age Phoebe Killdeer wanted to write and create her own music, she was already listening to what would become her main influences: Tom Waits, Art of noise, Yma Sumac, Nick Cave, Carmen McRae... «I have a fascination with words and lyrics, the way they are such obvious simple things and yet they come alive with complexity and full with feeling depending on the way you place them and with which tone you pronounce or accentuate them. Words are alive as much as we are and they allow us to share and communicate our feelings in our own way which makes it so exciting and a huge world to explore.» She began writing and singing her own compositions, and collaborating on various projects with Bang Gang, Basement Jaxx, True Stories, Ernest Saint Laurent, zero dB... In 2004 she takes part in Marc Collin's project, Nouvelle Vague's second album, «Bande à part». Its success will bring her to tour around the world for three years. The public is immediately captivated by Phoebe Killdeer's unusual voice, strong personality and great stage presence. Phoebe Killdeer has now produced a solo album of extremes and contrast. Fragility and introspection are comfortably married to an exuberant barrage of Rock, Blues and Soul in a debut record that is startling in its accomplishment. «I wanted the sound of the album to be dirty enough to represent the quirkiness of those caracteristics, so with Marc Collin we got some crazy horns, ghostly vibraphones, edgy guitars and tribal drums together to capture that mood. After six weeks of this kitchen work the album was then mixed by Oz Fritz, in San Francisco. Oz had mixed 'Mule variations' by Tom Waits... He managed to give the album its edge. This album dramatises the elements I love most about our world: people and their ways, what makes us so undeniably us. 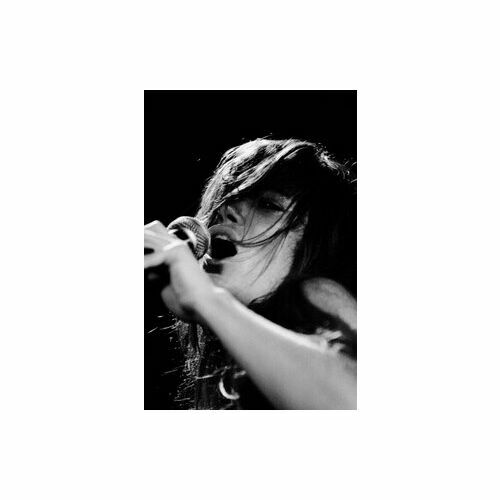 We are a never ending source of emotions, feelings, reactions, disturbances and surprises.» Phoebe Killdeer's first solo album 'Weather's coming...' was released in March 2008 on The Perfect Kiss / PIAS. Phoebe Killdeer is now unsigned and is looking for a new home... Pass it on!